The Omron Avail (Retail $199.99) is a wireless, dual channel TENS unit, which uses a targeted electrical current to safely and conveniently ease chronic and acute pain. 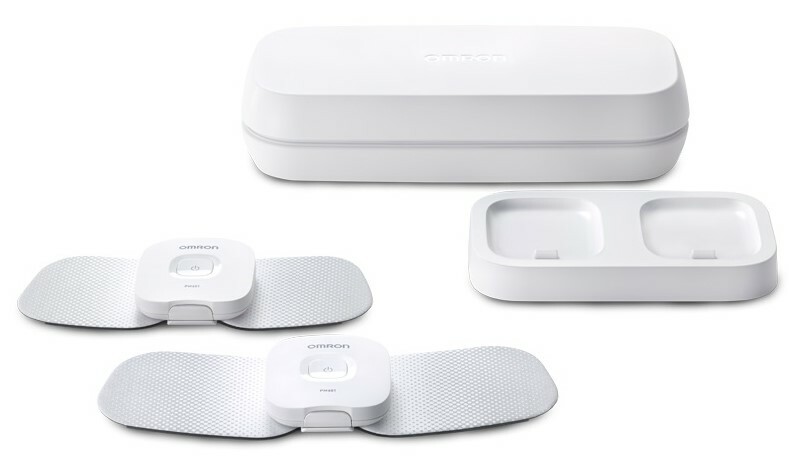 The 2 treatment units are connected to the Omron TENS app via Bluetooth, and provide the user with total control of the intensity, duration, and pulse pattern of their electrotherapy sessions. This consumer device is available without the need to visit a doctor or get a prescription, making fast and easy, drug-free pain relief accessible to anyone. I do not experience significant pain myself, so for the first-hand use of this product, I enlisted the help of a reviewer who suffers from a variety of moderate and chronic pain issues. Let’s start with an overview of the product itself, then I’ll get into my reviewer’s opinions. Millions of Americans suffer from some kind of pain, whether it’s occasion soreness associated with everyday muscle strain or more chronic, long-term pain, like with arthritis, and an increasing number of them are looking for a drug-free way to alleviate it. TENS (Transcutaneous Electrical Nerve Stimulation) units are often used by doctors and physical therapists to treat a variety of pain types, including muscle, joint, and arthritis pain. They use electrical pulses to stimulate the surrounding skin and nerve strands, inhibiting the pain signals from reaching the brain. This sort of electrical stimulation can also cause the body to release natural painkilling endorphins, which can improve blood circulation and aid in healing. The FDA certified Avail is a little different than many standard TENS units. It has a smaller profile, with every piece of equipment fitting into a compact storage case, and it’s totally wireless, so you can conveniently manage your pain while on-the-go. 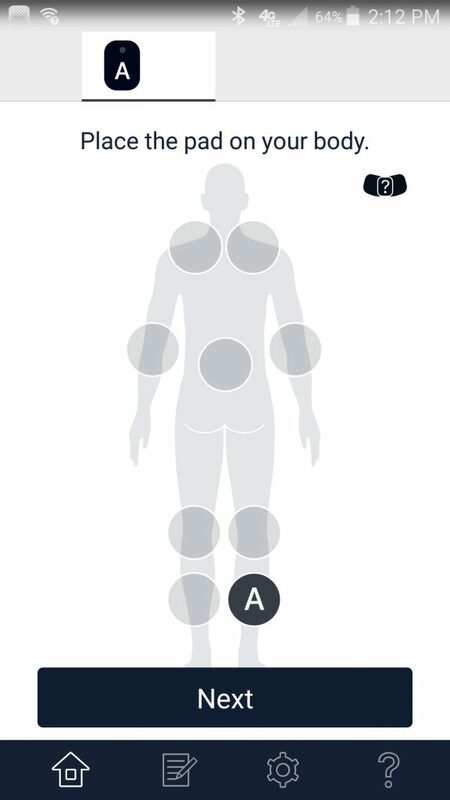 Another unique feature is that it comes with 2 independent devices, that can be controlled separately through the app, letting you give a customized treatment to 2 different body areas at once. The stored charge on the TENS devices lasts for quite a long time, but recharging is easy when the power finally runs out. Just pop the units into their charging dock and plug that into the wall. When they’re juiced up again, snap them onto the flexible, adhesive pads, which come in 2 different sizes to securely affix to different parts of your body. When you’re finished with your treatment, simply store the devices and the sticky pads together in the slim carrying case until your next session. Using the Omron TENS app is really simple. 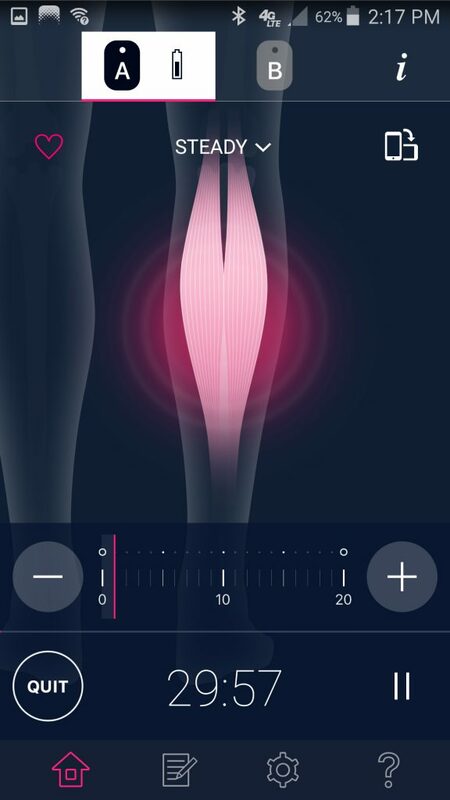 Once you’ve downloaded it, connect the devices via Bluetooth, and let the app walk you through the steps to create your personalized pain management session. The graphics and instructions are easy to follow, and there are several features that make this app a great companion to the product. 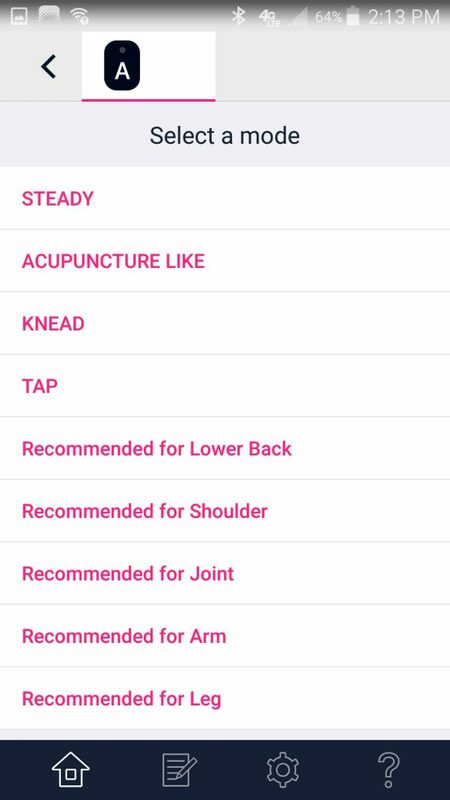 When you log into the app, you’ll get to choose which body part needs therapy, like shoulder, lower back, or calf. Then, you can choose from 10 pain treatment and massage modes, like Steady, Knead, Tap, and Microcurrent, which determine what the pattern of the electrical pulse will feel like. You’ll choose how long you want your session to last, then just press Start. During the session, you can increase or decrease the level of intensity of the current, from 1 to 20, to fit your individual tolerance and comfort. When using both devices at the same time, you’ll be able to monitor and adjust both independently of one another, in the split screen viewing mode. When the session is finished, the app will notify you with an alarm, which is helpful during the Microcurrent mode, or at lower intensity levels. You can also interrupt the session at any time if you need to switch to a different mode. When you find a mode and intensity level that you like, you can save it as a Favorite, so you don’t need to remember your exact settings when you log in again. 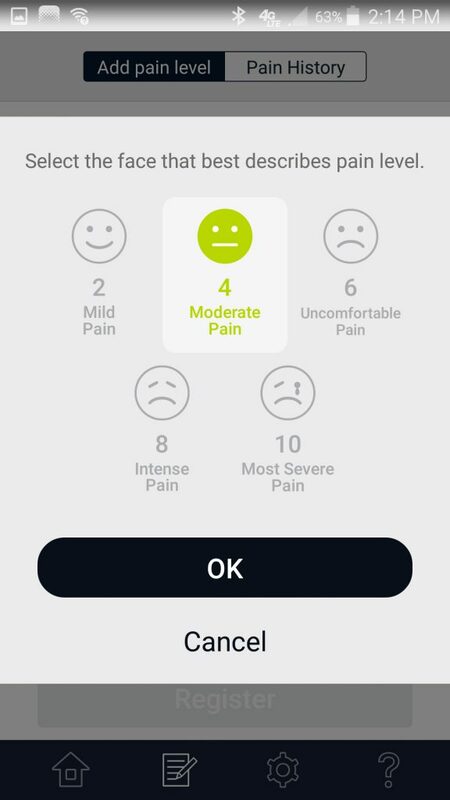 You can also record your daily pain levels in the Diary feature, so you can keep track of the efficacy of different modes and intensities. The app also automatically keeps a session log, in case you forget to add to the Diary manually. Now that the product facts are out of the way, let’s look at the real-life user experience from my reviewer. The following is her personal feedback after using the Avail for 3 weeks. Keep in mind that everyone’s body is different, and results may vary from person to person. As far as the hardware, being wireless, it was super convenient to use, allowing her to go about her day without having to be tethered to a power plug or cumbersome control base like traditional TENS machines. The devices are nice and light-weight, so they were never uncomfortable to wear. Bluetooth was easy to set up, and stayed connected when she walked away from her phone. As a smaller woman, she did think the adhesive pads were a bit too large, and would’ve liked them to be closer to the size of the electrical devices themselves. One other drawback she saw in the pads is the limited times you can use them. Omron says they’ll last for around 30 uses, and my reviewer thinks that’s about accurate. You can purchase more pads, but they’re a little pricey for the number of uses you’ll get out of the adhesive. Maybe future pad models will be less pricey, or have extended-use adhesive. As a note for people with sensitive skin, my reviewer often experiences irritation from adhesives, but even after 3 weeks of daily use, these pads didn’t give her any trouble. 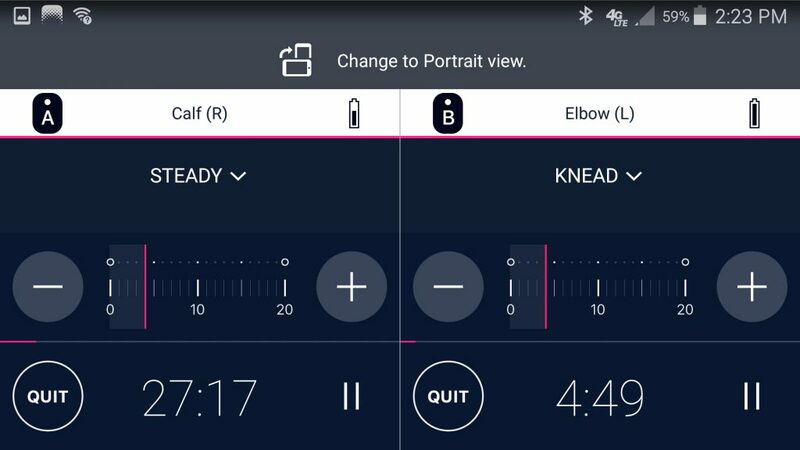 With the app, she appreciated the option to simultaneously treat 2 areas with different settings, cutting down the amount of time she needed to wear the devices. She also liked the variety of modes and intensity levels to choose from, because it gave her a real sense of personal control. Her favorite mode was Steady, with its constant, comfortable buzz, while her least favorite was Acupuncture, as it felt exactly like the name implies, and her intensity tolerance topped out at about 8. She thought she could go a little higher if she had a bit more muscle mass or body fat percentage. She didn’t use the Diary feature much, but said it was easy to navigate if she’d wish to. In fact, the entire app was easy for her to use, and as an older lady, sometimes that isn’t the case with apps or other technology. As far as the product’s ability to alleviate pain, she had mixed success. It worked great at getting rid of muscle soreness in her legs and back, due to walking around all day, or doing household chores. It consistently helped her get rid of this sort of end-of-day pain so she could sleep. It didn’t do anything for her freshly injured shoulder, but as that’s an actual muscle tear, and the device isn’t really meant to treat that sort of pain, this wasn’t a surprising result. She thought it might’ve helped her arthritis more if she’d used it for a longer period, or if that condition hadn’t been deeply set in her joints for so many years. Overall, she liked it more than a traditional TENS machine, and would recommend it for people with moderate muscle pain. The above feedback is my reviewer’s individual opinions, and may not reflect everyone’s experience. To sum up, the Omron Avail is a handy, over-the-counter, drug-free solution for moderate personal pain management. It may not be a perfect product for all pain types, but it excels in convenience and customization features. The price point is very conservative, and if you’re looking for a way to free yourself from your aches and pains, without the need to visit a doctor or get a prescription, go ahead and try the Avail. Being FDA approved, and from a reputable, long-trusted company like Omron, you can use this product with confidence. Head on over to https://omronhealthcare.com for more information, and then check out the Omron TENS app for iOS or Android.